Special Discounted Rate April 20th – April 28, 2019 due to work being done on the greens. Play for $49 + tax. Special Discounted Rate April 29th – August 15th, 2019 due to playing on TEMPORARY GREENS while we change the grass from Bermuda to Paspalum on the putting surface. Play for $25 + tax. 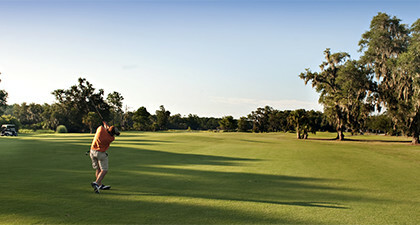 Enjoy a round of golf at Charleston’s premier golf destination, Dunes West Golf and River Club. 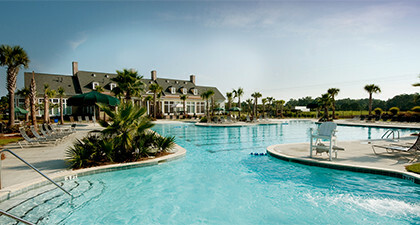 Located less than 20 minutes from historic downtown Charleston in Mt. Pleasant, Dunes West combines a masterful Arthur Hills designed course, a charming club house overlooking Wagner Creek and some of the area’s most spectacular scenery into a truly world-class and one of a kind experience. 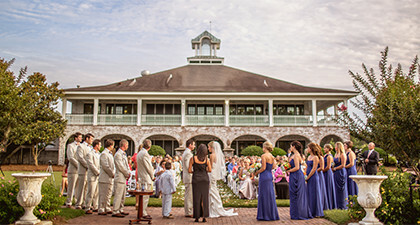 The par 72 course plays 6871 yards, beckoning players of all handicaps, and combines with Dunes West’s first class club facilities including a practice facility, pro shop and full service restaurant, to provide a world-class golf experience in a spectacular lowcountry setting. Thank You for Using Dunes West Golf and River Club's Online Tee Time Booking System. Should you need to change or cancel your tee time, please contact the Pro Shop at least 24 hours in advance of your tee time calling the Dunes West Golf and River Club Pro Shop During Busines Hours at 843-856-9000. Tee time fees for no shows will be automatically charged to the credit card provided at the time of booking.